Those of you who follow this blog, or know me from social media, will already be aware that my six-year-old twins are educated in very different schools miles apart. As a mother you just get used to these things. You get used to seeing different coloured school wear in the washing pile when you once thought it would only be one. You get used to doing homework with just one child when you always envisaged it would be done in duplicate. You get used to writing a daily diary for one but not the other. You get used to them leaving and arriving home at different times. You get used to only holding one little hand walking to school. But just because you get used to it does not mean it stops hurting. While I love both my children’s schools and know in my heart that both of them are currently in the right placements to support their needs socially, emotionally, as well as academically, I still have that vision of walking them both to school and talking to them both about their day. It was part of that dream. It was part of that ‘deal’ when I became a parent of twins, it just seemed to be an unwritten law that my children would go through life experiences together. And some days that dream is hard to let go of. It is the biggest irony in my life that autism separates my children to the very same degree it unites them. They both have the same diagnosis, they both share the same triad of difficulties, they both have delay in similar areas, yet since the age of two and a half they have been separated in their education. From then on fairness became impossible. One gets school trips when the other doesn’t. One has homework every night while the other gets to play. One gets swimming, the other doesn’t and so on. But the hardest of all is when they have different days off. And this is what we have this week. Despite both schools being in the same local authority they are having different training days for staff and therefore I have the problem of explaining to my children why one has to go to school when the other doesn’t. For the one who leaves earliest and comes home latest (and who also has the least understanding) the day when his sister was off has had little impact on him. He has no idea what she wears so never even noticed she wasn’t in her uniform that morning. But when I have to walk Naomi to school while his taxi won’t be coming for him on Wednesday I know we are going to have a problem. We don’t do change of routine very well here. And Isaac does not do the whole ‘not going to school’ thing. He barely copes with not going at the weekend let alone on a day when he should be there! So I have come up with a plan. I have revived my dream. On Wednesday morning I am going to pretend for one day that everything is how it should have been. I am going to take two little hands, talk to two little children instead of one, and walk to school with both my twins. Just this once. And thanks to the wonderful staff at my daughters school I get to do it at home time too. 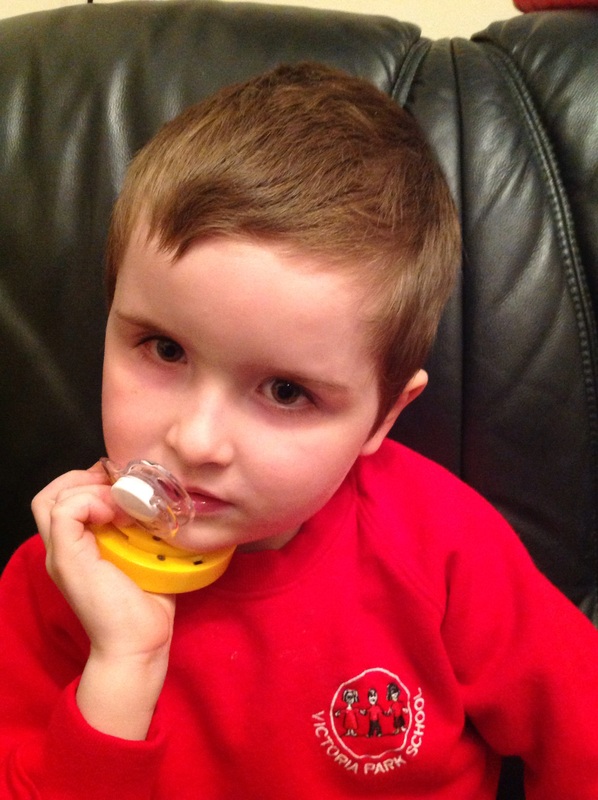 Isaac will walk with me to collect Naomi and he has been invited into her class to meet her classmates. He will have his talker with him with a pre-recorded message for the children. I am emotional just thinking about it. His sister is so excited and proud to show off her brother. The school is willing to give me time to introduce him and let him ‘say’ hello. 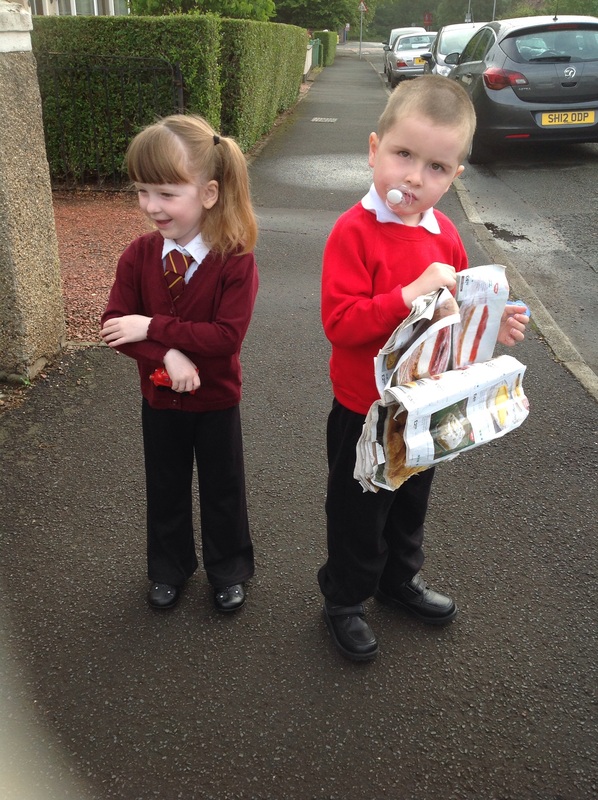 And I get that magical experience of walking both my children to and from school together. It has always been my dream. It may only be for one day. But I WILL get that experience. Life is about moments to treasure. And on Wednesday I can pretend all is well.